The idyllic resort Penha Longa offers so much for clients to enjoy, from its rejuvenating spa and its idyllic pools to the endless array of sporting pursuits, there's little need to leave the bounds of the resort. But with so many enticing places to visit nearby, not least the vibrant 'city of lights' Lisbon, you'd be missing out. Here are some of our tips on what to do and see on a day out in beautiful Lisboa. When visiting Lisbon a trip to the district of Belem is a must. 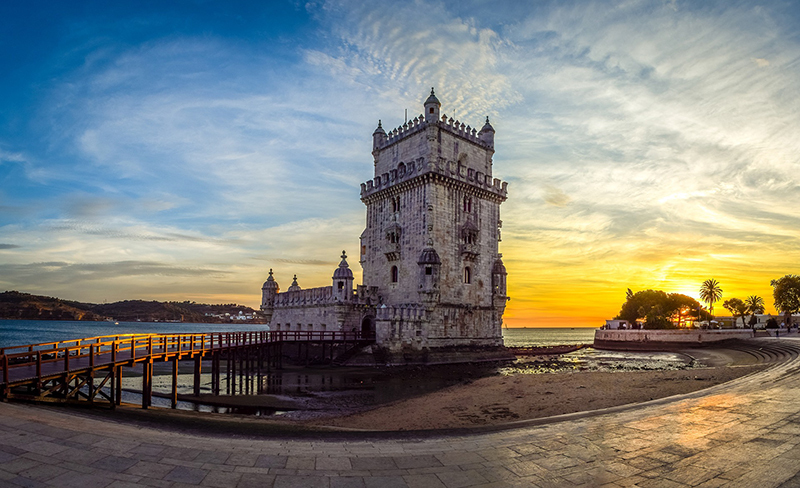 Here you can visit extraordinary museums, historical monuments, tropical gardens, and taste one of the 7 wonders of Portuguese cuisine, the Pastel de Belém. The famous pastries are made following an ancient recipe from the Mosteiro dos Jerónimos. That secret recipe is recreated every day in the Pastéis de Belém bakery, by hand, using only traditional methods. Even today, the Pastéis de Belém offers the unique flavour of time-honored Portuguese sweet making. There are many different ways to get around the city of Lisbon and many local guides willing to show you around. It is possible to have a guide take you around the city on Buses, Segways, Sitways, Electric bikes or even good old-fashioned walking. If you prefer to explore by yourself, there are plenty of trams and Tuk Tuks to get you from A to B. The Tuk Tuk drivers have an abundance of local knowledge and can show you all the best places to go. The Ponte 25 de Abril suspension bridge is one of Lisbon’s most notable landmarks as it spans the River Tagus at the narrowest point. 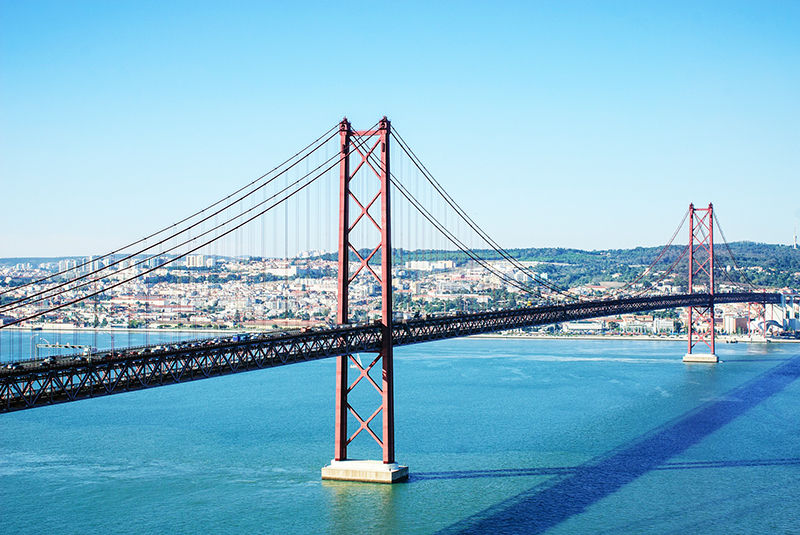 This massive bridge closely resembles that of the Golden Gate Bridge in San Francisco and the date name remembers the Portuguese Carnation Revolution of 25 April 1974. The suspension bridge connects Lisbon, on the north bank, with the commuter districts of Alameda on the south bank. A good place to view the bridge is from the Christ Rei Statue. The Cristo Rei has an 80m high viewing platform with amazing panoramic views over Lisbon and the golden suspension bridge. Cristo Rei makes for an enjoyable excursion from Lisbon and is often the sole reason to cross to the southern side of the Tejo Estuary. The castle is a huge part of Lisbon’s history and, due to its enormous size, it can be seen from almost anywhere in the city. Lisbon castle, the Castelo de Sao Jorge, stands majestically above central Lisbon and was the ancient seat of power in Portugal for over 400 years. Much of the present castle dates from the 1920s when a significant restoration project was undertaken but this does not detract from the allure of the castle. For a small admission fee, visitors are able to explore the castle's 11 towers taking in breathtaking views of the city before enjoying the castle's museum and savouring a drink at the bar. By hiring a skippered boat from Cascais Marina you can sail up the Tagus River and take in the sights of Lisbon from the water. There are many different boats and tours available to suit any individual request. Enjoy some of Portugal’s fine wine and Gastronomy whilst cruising under 25 de Abril Bridge or gaze upon the lights of Sao Jorge Castle from the deck during a sunset sail. From Penha Longa resort, one of the easiest ways to get into Lisbon is to get the train from Cascais town center. The train takes about 25 minutes and will take you right into the heart of Lisbon for the cost of €4. It is an incredibly picturesque journey traveling along the Estoril coastline allowing you to avoid any traffic whilst taking in the sights of the land and sea. To find out more about a trip to beautiful Penha Longa and nearby Lisbon, call our Travel Consultants on 020 8246 5300 or click here.